The full story on the new bullpup sniper rifle from Izhmash is finally materializing. We had shown their photo released at the ceremony commemorating the 80th Anniversary of their Design and Technology Center, which didn't match up perfectly with their previous information. Now they explain clearly that this is the VS-121 Sniper rifle, which is the first from their bullpup platform rifle series they are referring to as BC-121. 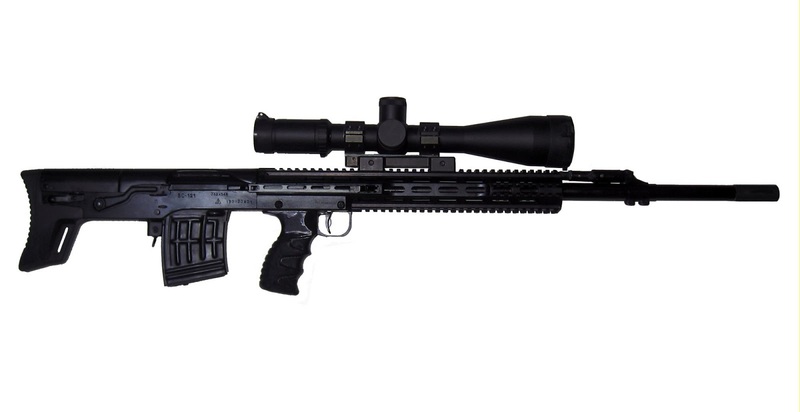 The VS-121 Sniper Rifle is based on the Dragunov and is chambered in 7.62X54mmR and could feature other 7.62 ammunition including 7.62X51mm NATO. Izhmash has developed the rifle with a new trigger, 24.4" Barrel, and suppressor. The barrel weighs in under 10 pounds. They see a big demand in the Sniper Rifle Bullpup Platform for export to law enforcement agencies.